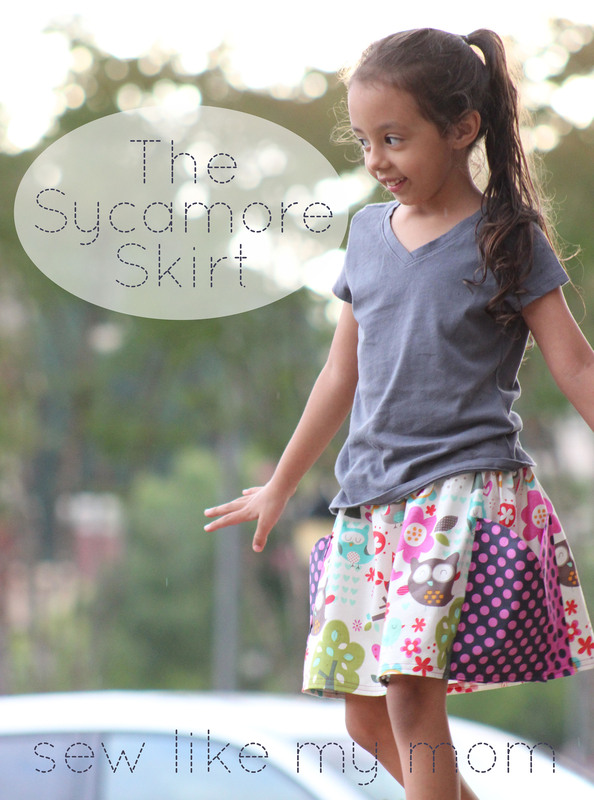 When I was in the middle of making my Sycamore Shorts pattern, I knew the pockets would be amazing on a skirt. I’ve wanted to post about this, but knew they’d be perfect for my Skirting the Issue skirt post. To learn more about Skirting the Issue, please read about it on Simple Simon & Co. 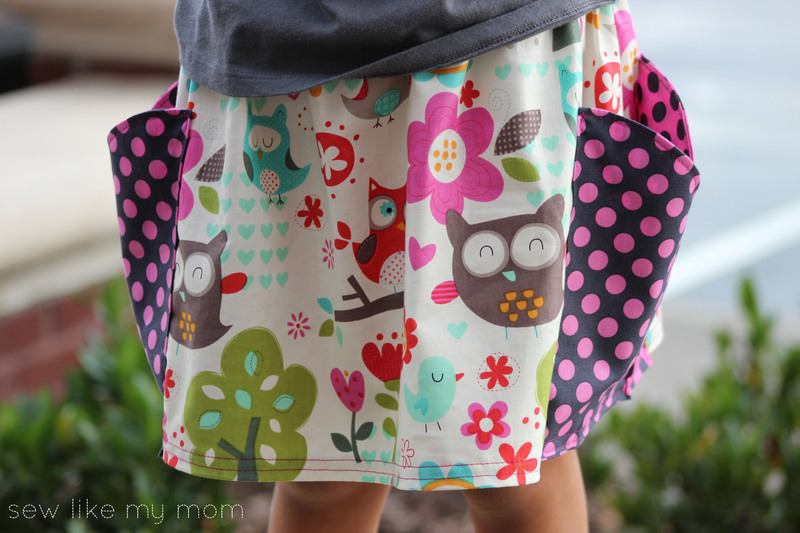 These huge pockets on a skirt are amazing!! 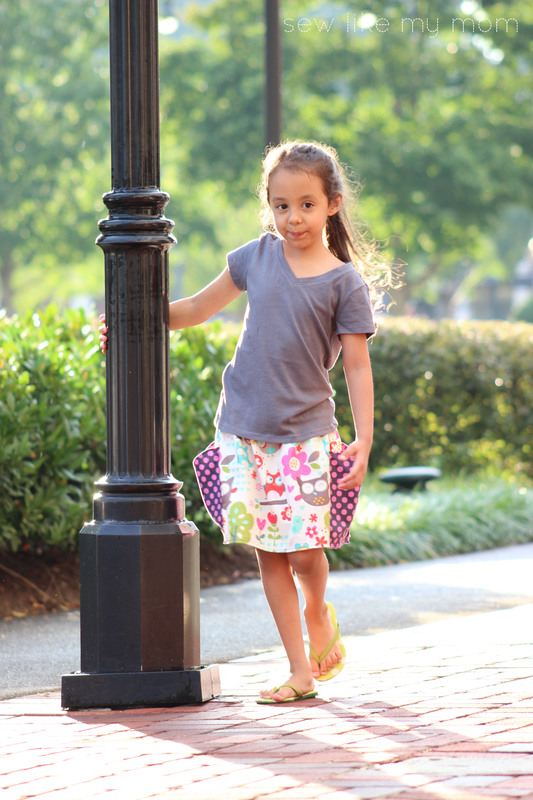 Sofia loves this skirt! I can’t imagine any little girl who wouldn’t be nutty over the huge pockets for gathering treasures. She immediately stuck a notepad and pencil, 2 toys and a little bottle of bubbles in her pockets and tried to sneak them out for our photoshoot! 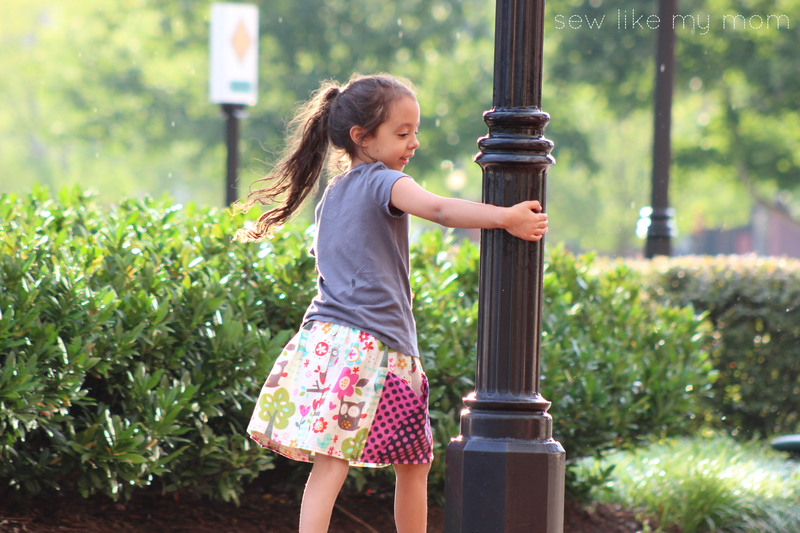 This skirt is such a fast sew, it’s easily achieved in 30-45 minutes. 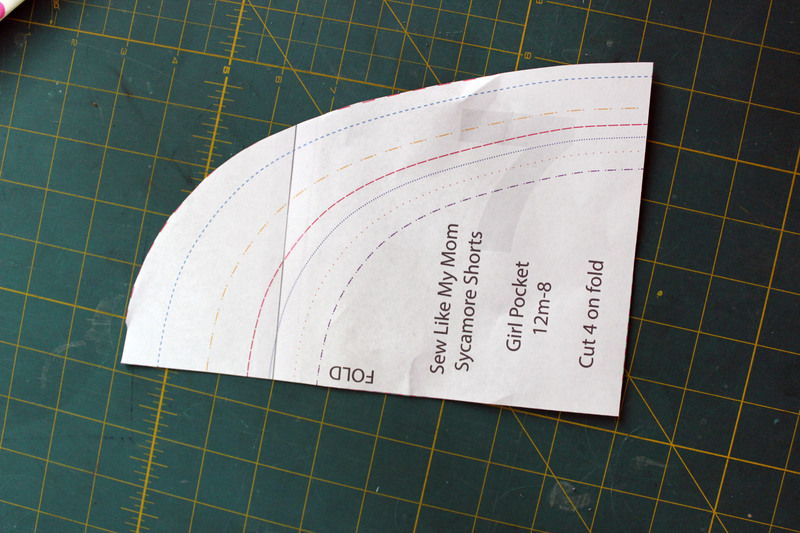 You’ll need the pocket piece from my free Sycamore Shorts pattern. You can download it here. Then for the skirt, I used the “above the knee” measurement from the chart found on Crafterhours. You’ll need it, too! I measured up one size to make sure there’s room to grow throughout the year. 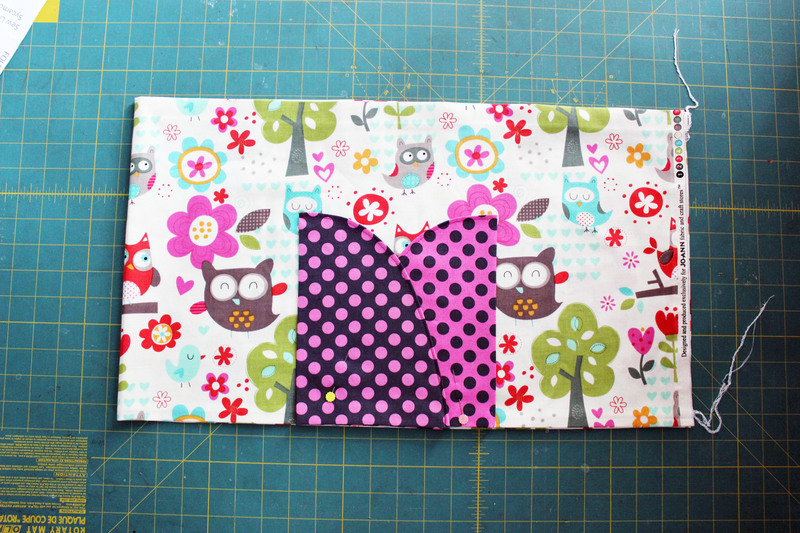 Print the pocket pieces from the pattern and follow the instructions for assembling them. 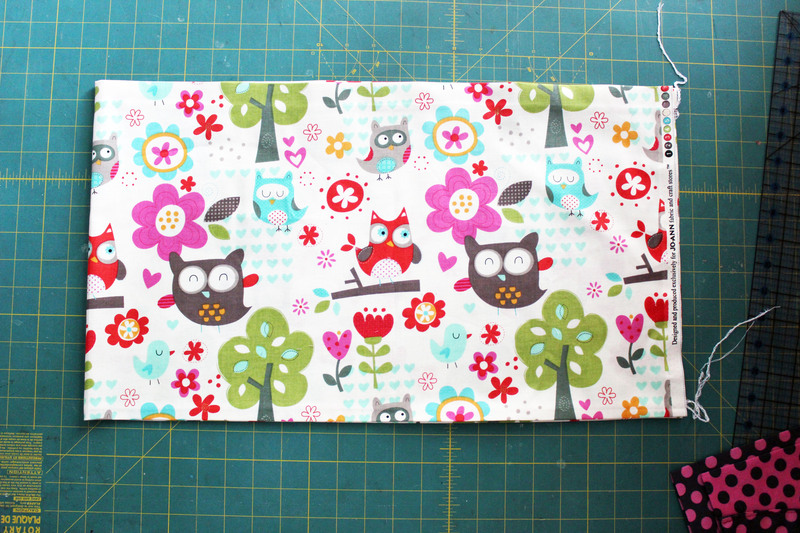 For the skirt, I used the width of the fabric so it would be nice and full. I folded down the waistband casing and folded up the hem, just like in the pattern, while my skirt was just one long piece of fabric. Fold the fabric in half, “marking” the middle of the skirt. Find the middle of the side and pin one pocket to the bottom of the skirt in the same style as in the pattern. 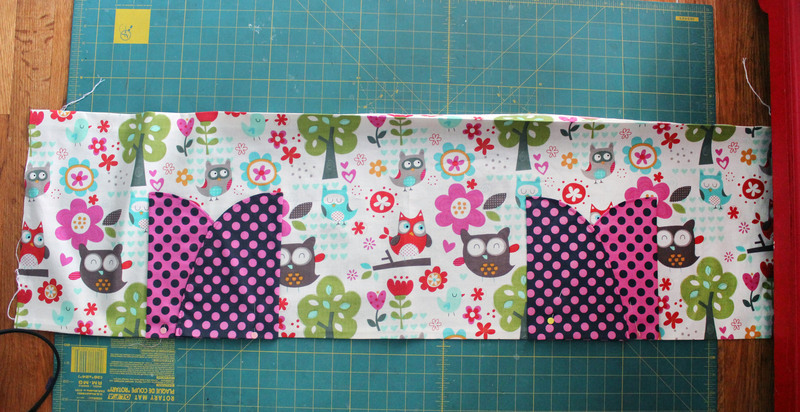 Flip the skirt over, keeping it folded in the middle, and pin the opposite pocket on. Sew the pockets on according to the directions in the pattern, making sure you don’t catch your ironed hem. Fold the skirt in half and sew together, serge or zigzag the edge and iron to one side. 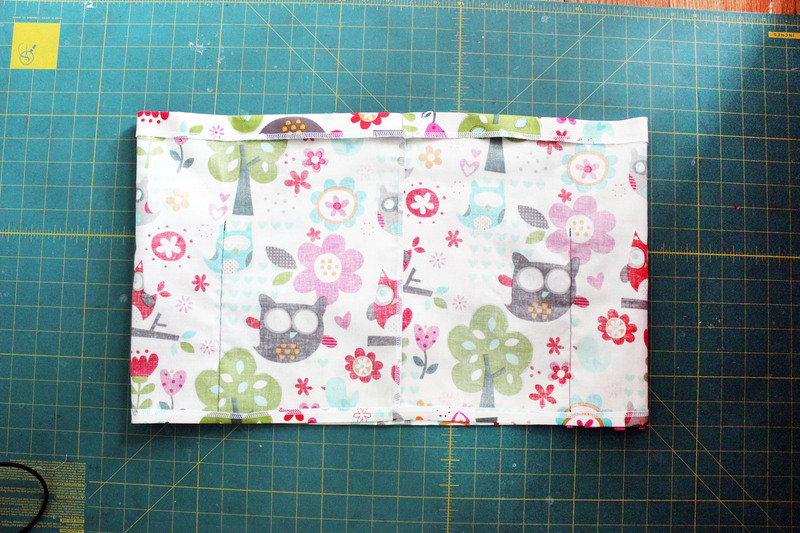 Refold down your casing and hem and sew according to the pattern. Insert your elastic in the casing and you’re done! 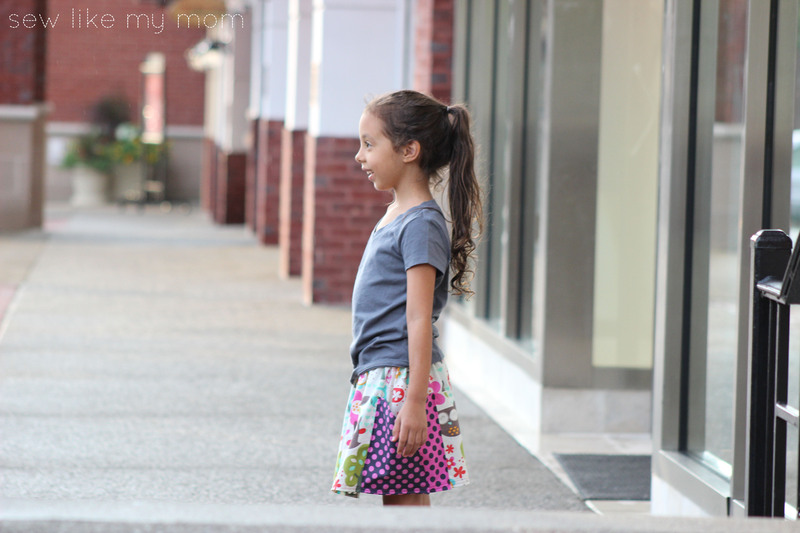 Such an adorable skirt for any special little girl. I LOVE the Sycamore Shorts and so does my son. 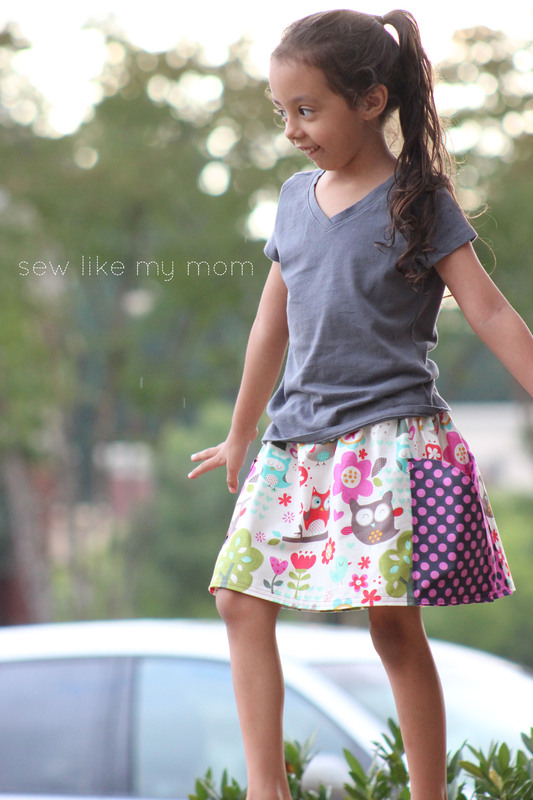 I can’t wait to make this skirt for my daughter! Thanks for the really cute idea. I saw this and immediately knew what fabric in my stash to use. I will be making this within the next week or so for my daughters. I LOVE the pockets! Absolutely love the shorts pattern, thank you so much. When I click on the link for the pocket piece and for the shorts pattern, nothing is coming up. Is there a different link I can try? This skirt is beautiful! 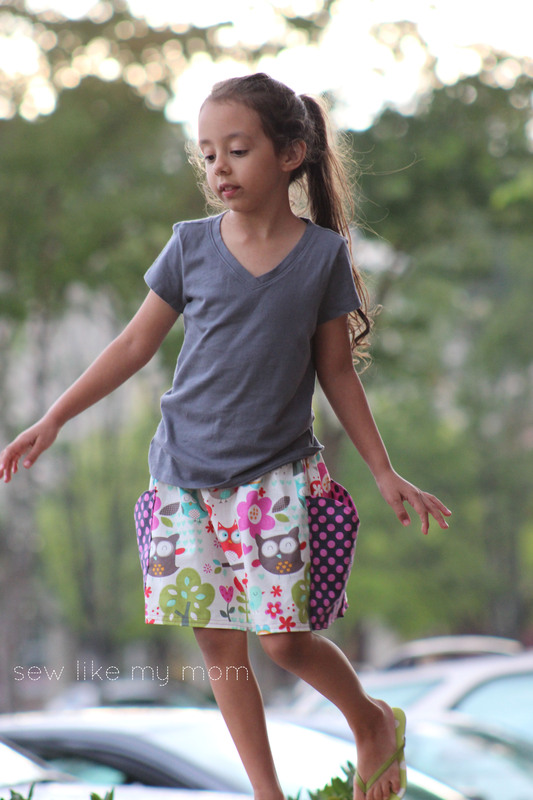 The link will take you to my Craftsy page for my Sycamore Shorts. It’s the same pockets, so you’ll need to download that pattern (it’s free!) to get the pocket piece and instructions.